With the help of Blind Faith Records, Sugaray presents his debut soul album project, ‘The World That We Live In.' This collection of ten original songs carries the gift of universal appeal that towers above tastes and trends, and it's an album destined to become an instant classic. The World That We Live In is all original material with the feel of 1960-70's soul. A full band with horns, strings and back-up vocals complete this old school feel. Italian soul ambassador Luca Sapio made it his mission to bring Sugaray’s music to the forefront by recording this album. In order to create the most authentic sound possible, it was recorded in Luca’s analogue studio in Italy, with racks of vintage gear and a killer house band. What they have so magically created is an album which sounds like an instant classic. Keep an eye out in our online store to purchase this new music, or purchase today below. May 2011, Sugaray became one of the lead vocalists for the Mannish Boys, who were under Delta Groove management. This international act performs 6-8 times a year. He sang lead vocals on 9 songs on Double Dynamite the Mannish Boys CD that won Best Traditional Blues Album in May 2013 at the Blues Music Awards. His first solo CD Blind Alley was a self-release in 2010, which garnered critical acclaim. His second solo CD Dangerous, was released on 9/17/2013 under the Delta Groove label and debuted at # 2 on Blues Debut Chart, #6 on the Roots Music Chart and #2 on The Living Blues Chart. Below is the journey that has taken Sugaray to this point in his career. Texas born Caron “Sugaray” Rayford began his musical career at the age of 7 singing & playing drums in church, and his gospel influence can be heard and felt in his music. 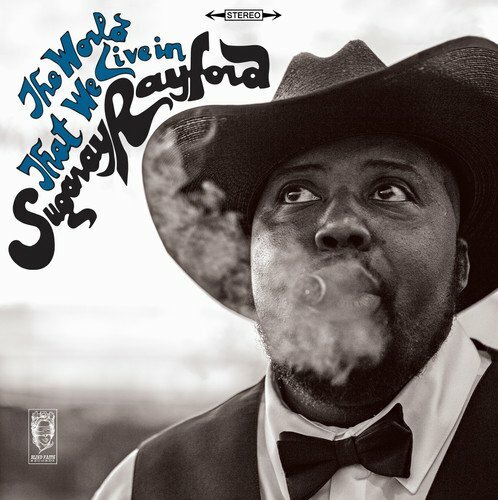 Rayford's phrasing is intimate and conversational and the soulful gravel in his voice hints at his firsthand experience with hardship. His switch to contemporary music began about 15 years ago in the San Diego area, where he sang lead vocals with a R&B/Funk band called Urban Gypsys. With this band he had the privilege of sharing the stage with many notable artists such as The Average White Band, Dennis Quaid, Joe Luis Walker, Kal David, Super Diamond & Venice, to name a few. After dabbling in blues, Suga realized that the blues was where his heart and soul belonged. So after some soul searching he left the Urban Gypsys and became lead vocalist for Aunt Kizzy’z Boyz, a Temecula area blues band. Shortly after joining the band in 2004, they released their first CD “Trunk Full of Bluez”. This band was hungry and did over 200 gigs a year over the next few years and their popularity rose exponentially. Aunt Kizzy’z Boyz represented San Diego (Blues Lovers United San Diego) in Memphis Tennessee January 26th- 28th, 2006 at the International Blues Challenge (IBC), and brought home the 2nd place prize. The band began playing higher profile gigs and in 2007 released their 2nd CD “It’s Tight Like That”. In September 2008, the Boyz won the LAMN Jam Grand Slam Urban Artist of the Year title by a landslide; they beat out hundreds of competitors. After moving to Los Angeles several years ago, Sugaray was asked to host a blues jam at Cozy’s in Sherman Oaks. It is through this venue that Sugaray met and played with innumerable world-class musicians. Suga’s desire to explore and expand his musical vision has been nourished by these musicians. His solo career has flourished in LA. He also travels the world singing with other bands like Igor Prado Band, “Big Pete” van der Pluijm, Sax Gordon and several other musical bands. He has done studio vocals on several projects, such as the theme for Judge Joe Brown, the movie trailer City Lights, a couple of songs on Person of Interest and many other projects. May 2012 he made his stage debut starring in the Tony award winning play “Ain’t Nuthin’ But The Blues” at the Portland Center Stage in Portland Oregon. He joined members of the New York Broadway cast playing the part previously played by the late Ron Taylor. It had a 6-week run where every show ended with a standing ovation. He also starred with Felicia Fields and Chic Streetman in the play "Low Down Dirty Blues" that ran in Milwaukee and Cincinnati in 2015. It was a great success in both cities. Suga hopes to have the opportunity to perform on stage in the future.